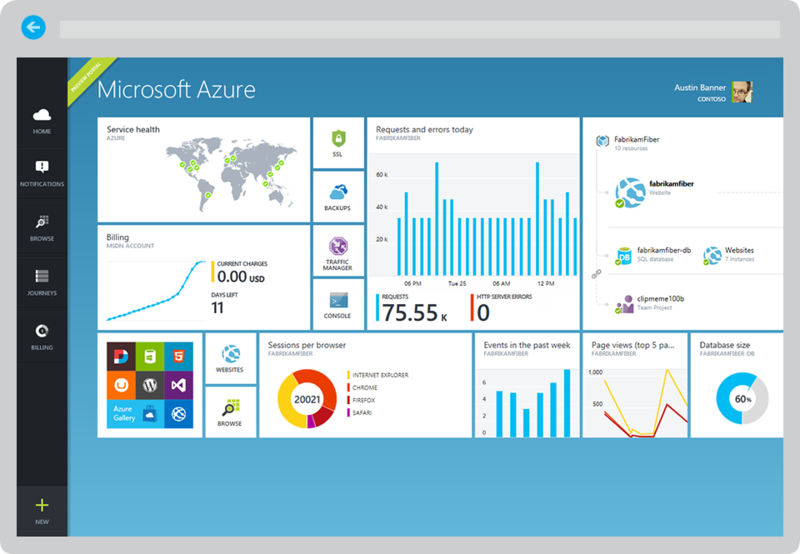 The Azure Management Portal is the current interface to manage all your Azure services, like analytics, computing, database, mobile, networking, storage, web and identity. 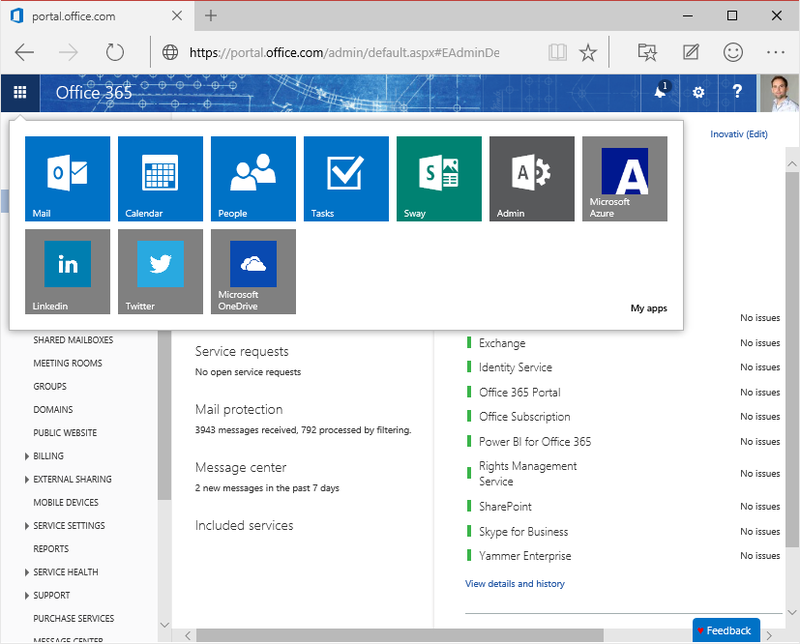 From an Enterprise Mobility Suite perspective, the portal allows you to manage Azure AD (Premium) and Azure Rights Management Services (RMS) features like Multi Factor Authentication (MFA) or defining Azure RMS templates. Regarding licenses, assignment for Azure AD Premium will be performed from this portal. This also applies to assigning EMS licenses which includes both Azure AD Premium, Microsoft Intune and Azure RMS. Assignment of Microsoft Intune licenses in a EMS suite can thus only assigned by the Azure Management Portal and not by the Microsoft Intune Account Portal. 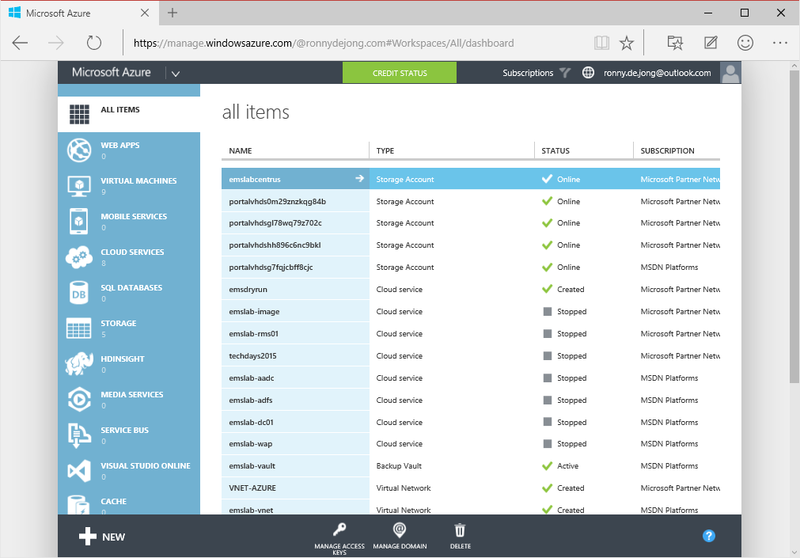 This will be your future management portal for managing all your Azure services and is currently still in preview. Easier, simpler, and (most importantly) faster! This unified hub radically simplifies building, deploying, and managing your cloud resources. Imagine a single easy-to-use console built just for you—your team, your projects. Now craft your very own best-in-class toolset by adding fully integrated capabilities from Microsoft, partners, and the open source community. Then make it yours! Organize your portal to custom-fit your work, and your workstyle. Stay on top of the things that matter most by pinning them to your Startboard. Resize parts to show more or less data. Drill in for all the details. And see insights (and opportunities) across apps and resources. This self-service portal is intended for end users to provide them a self-service portal. End users therefore can be more productive as they are no longer depending on your IT and can help themselves by providing self-service capabilities like resetting their passwords, group management and accessing over more than 2400 SaaS applications. Part of Azure Active Directory Premium is Self-Service Password Reset feature. With this self-service solution users are able to reset their password anytime and any place without any help of your IT department. 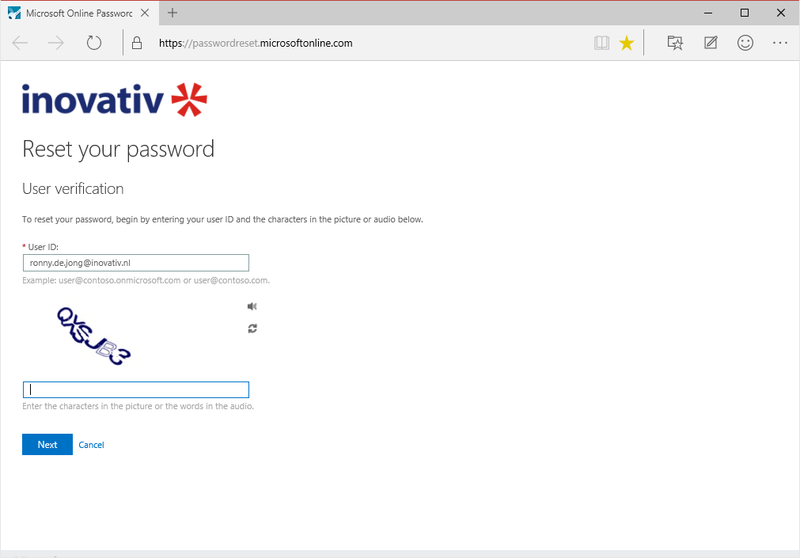 In order to take benefit of this self-service password reset function you requires Azure AD Premium, furthermore you organization must support and enable password write-back in order to synchronize mutations back to your on-premise Active Directory. Another great advantage is that this services takes care of your on-premise defined account policies like complex passwords, password history of password age. 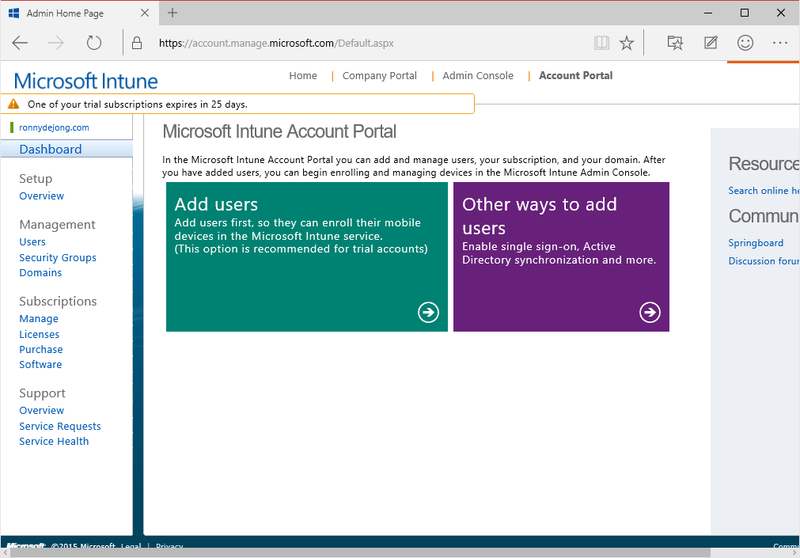 The Intune Account Portal is primary used for managing users, groups, and domains even for Microsoft Online services including Office 365 and Microsoft Azure. With this online portal, you can check the status of your subscriptions, add new subscriptions and activate new user accounts. This portal provides similar functionalities provided by Office 365 Admin Portal of Azure Management Portal and can be used as start point where you can set up and configure your hybrid identity (Azure Active Directory Sync & Single-Sign On). 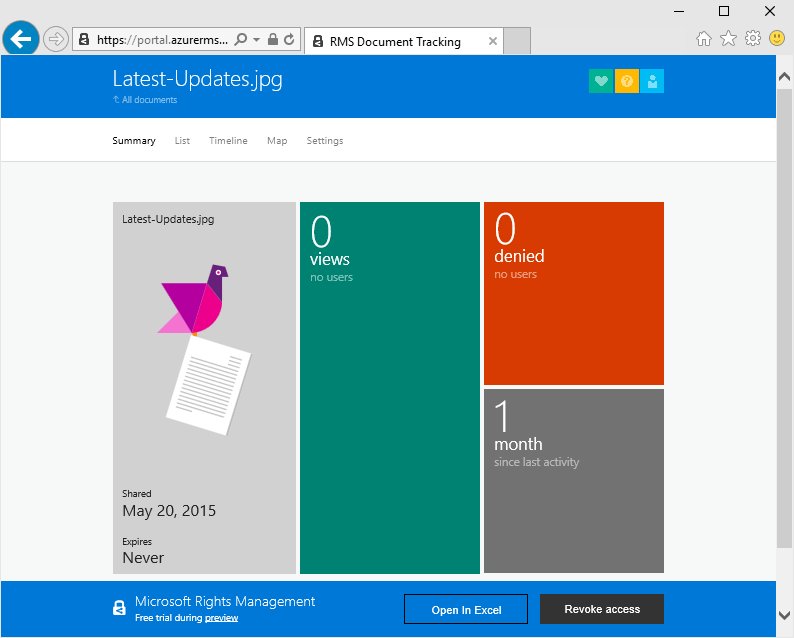 Further standalone Microsoft Intune licenses can be assigning using this portal. Microsoft Intune licenses which are part of a EMS license can’t be assigned through this portal but as mentioned before only through the Azure Management Portal. If you’re using Microsoft Intune in a hybrid scenario than the license part will be covered by your Configuration Manager instance. 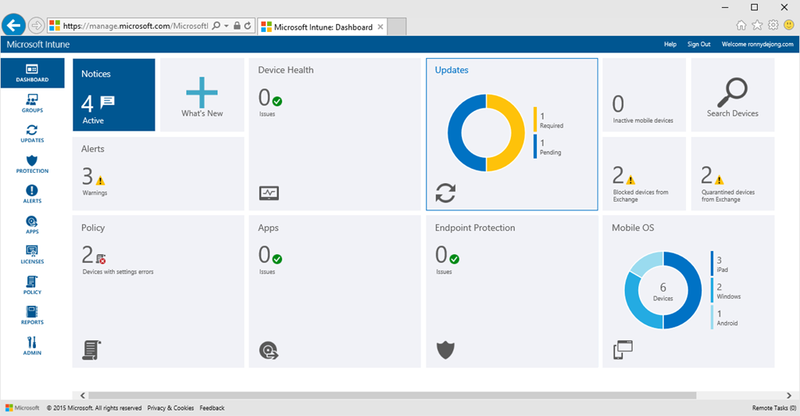 Microsoft Intune Admin Portal is your start point from performing daily operational tasks such as managing mobile devices (selective wipe, wipe, passcode reset), configuring baseline policies, deploying software and keep track on your compliance status. Beside day-to-day operational tasks you’ll configure your Microsoft Intune infrastructure components such as setting your mobile device authority, configure your platforms to manage and integration with other cloud & on-premise solution such as SharePoint (Online) and Exchange (Online). What is also striking is that this portal uses Silverlight, this however unlike the other portals in this list. Thus you can’t open this portal from the new Windows 10 Edge browser, Windows RT or iOS device and by September this year Google will discontinue support of Silverlight in there browser. 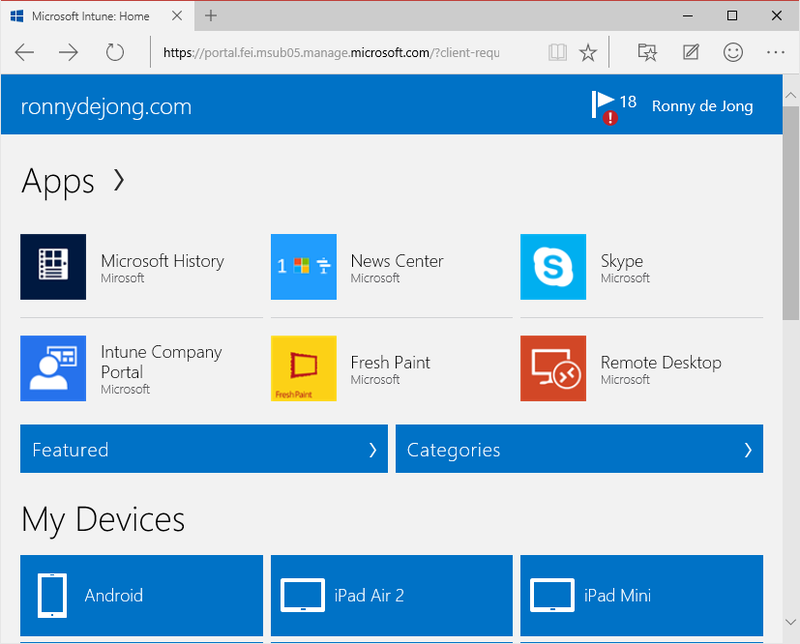 End users will access the web based Microsoft Intune Company Portal when they have not the ability to use the native Company Portal. The Company Portal is an interface which acts a company app store where user can install apps or they can perform tasks such as performing a selective wipe or other tasks on there owned devices. 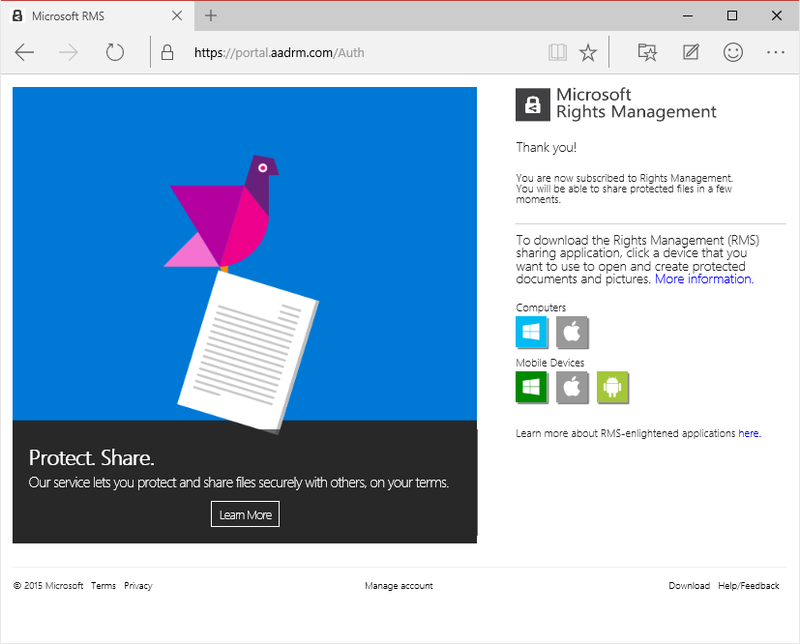 On the Azure Rights Management (RMS) Portal you can download the Azure RMS Sharing app for the various platforms available. With the Azure RMS Sharing app you’re able to apply the defined policy templates or apply in-place protection on you Windows system. For the other platforms you’ll need the app in order to open and read protected documents by Azure RMS. Further the portal is used to register yourself as an individual Azure RMS user. Organizations or users which do not have an Azure RMS subscription wouldn’t able to read protected documents without being registered as an Azure RMS Individual user. As an registered Azure RMS Individual user your able to open protected Azure RMS documents but you’re not able to create protected documents yourself using Azure RMS. You must have a valid Microsoft ID of company ID in order to register yourself, namespaces like *.hotmail.com, *outlook.com, *.yahoo.com or *.gmail.com are currently not supported. The Azure RMS Document Tracking Portal – which is currently in preview and only available in US-region – but’s definitely worth to mention as it’s providing some great features. With Azure RMS Document Tracking – the name says it all – allows you to keep track your protected (corporate) data. It provides you insights who accessed the protected data, when and where. This is clearly displayed by a list overview, timeline and map. Further you’re able to revoke access and configure notifications when someone has opened a document or access has been denied. 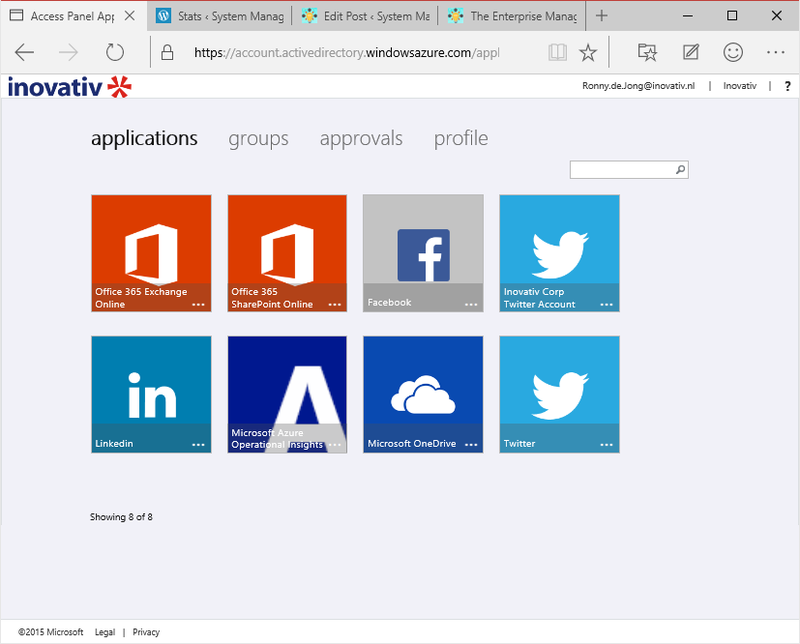 Because the Office 365 Admin Portal contains a number of important settings related to the Enterprise Mobility Suite (EMS) it’s listed here as well. From here you can request trial licenses or buy, activate and assign licenses. From an EMS perspective this applies to Azure AD Premium and Azure RMS where Azure RMS can be both activated from Office 365 or Azure AD.